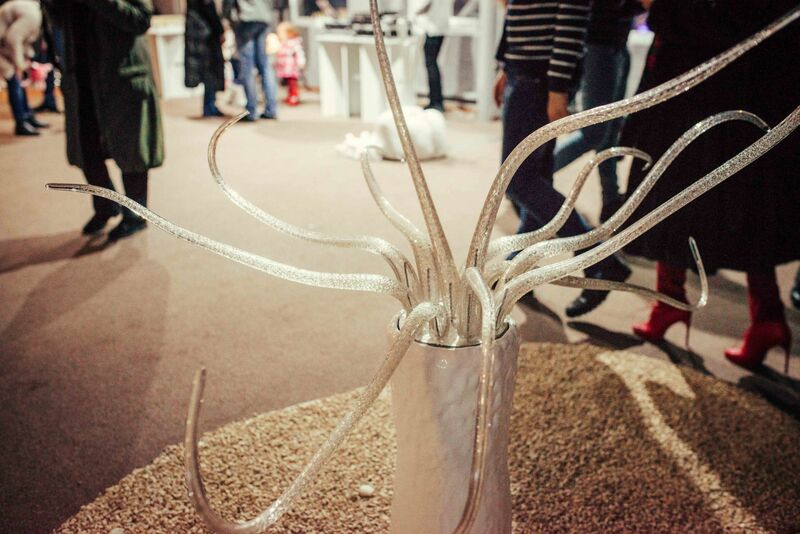 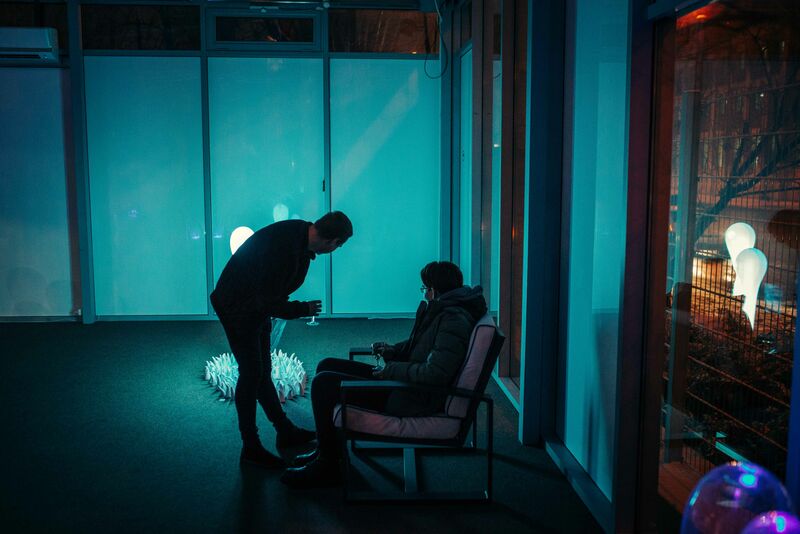 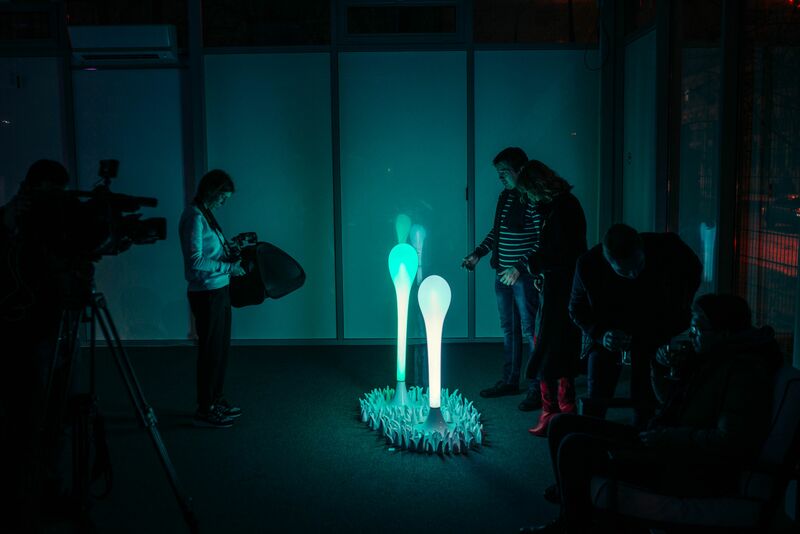 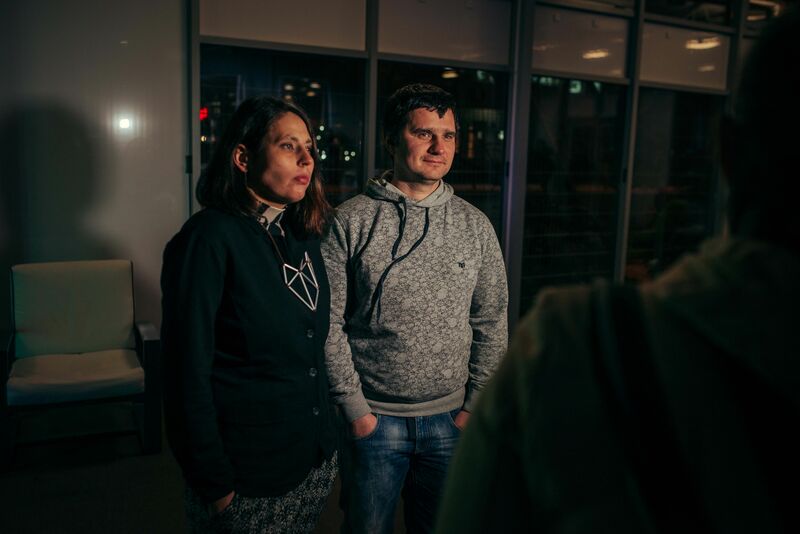 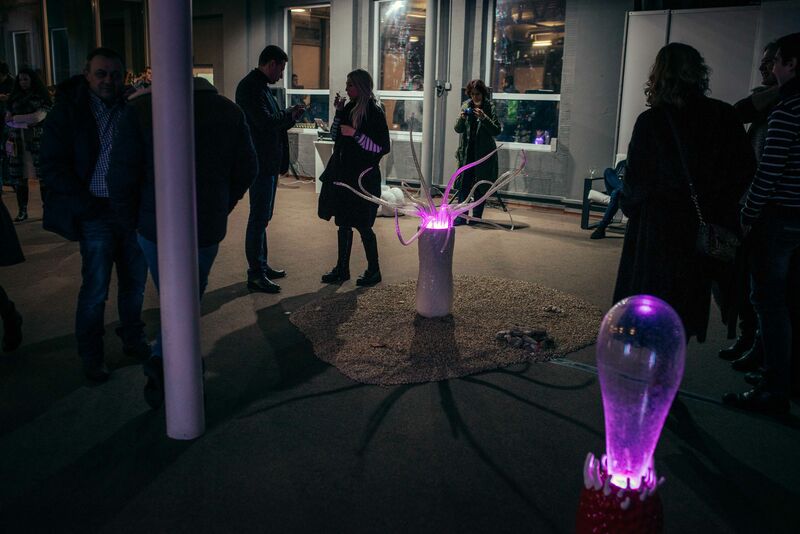 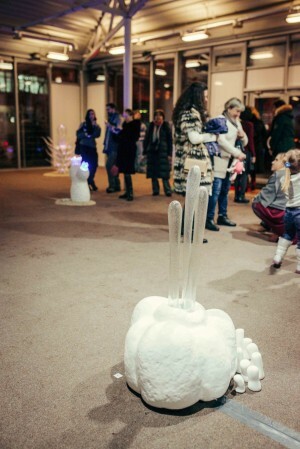 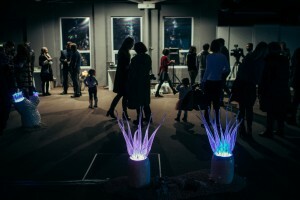 “Immersion” is the very name of the joint art project of young artists from Uzhhorod of the creative spouses Beata Korn (born in 1980) and Victor Melnychuk (born in 1979). 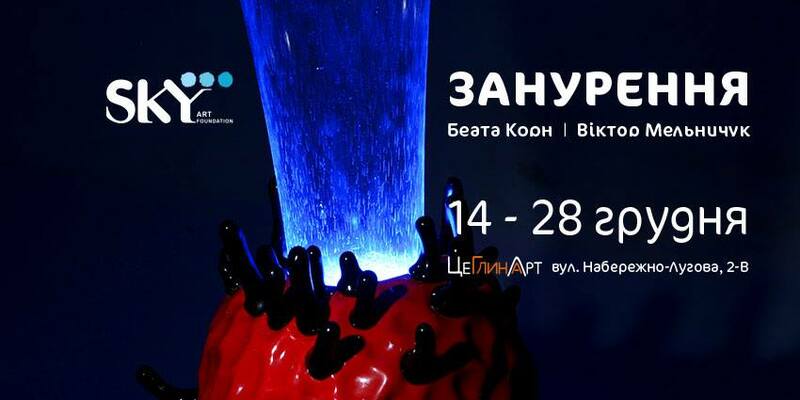 The exhibition, organized by the charity fund “Sky Art Foundation” has been opened on 14 December 2016 in the metropolitan art space “TseGlynaArt” and will last till 28 December. Here are the art objects from the free-blown glass and ceramics, which the authors created throughout the year. 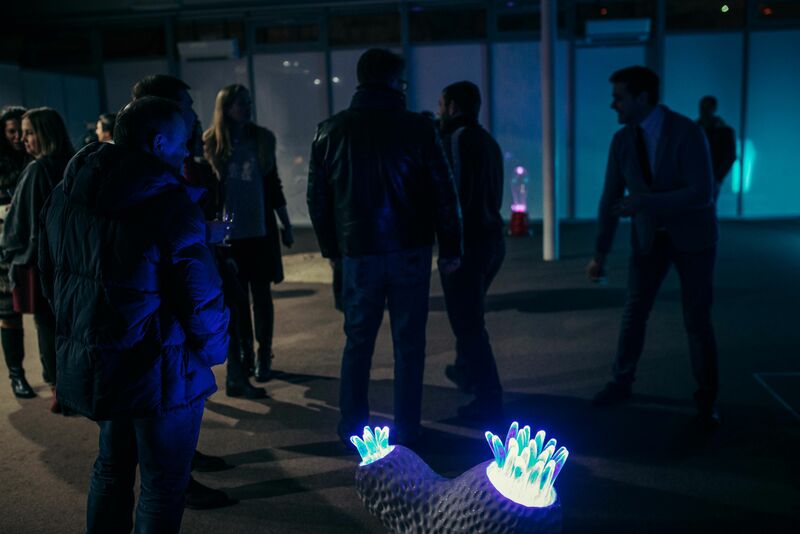 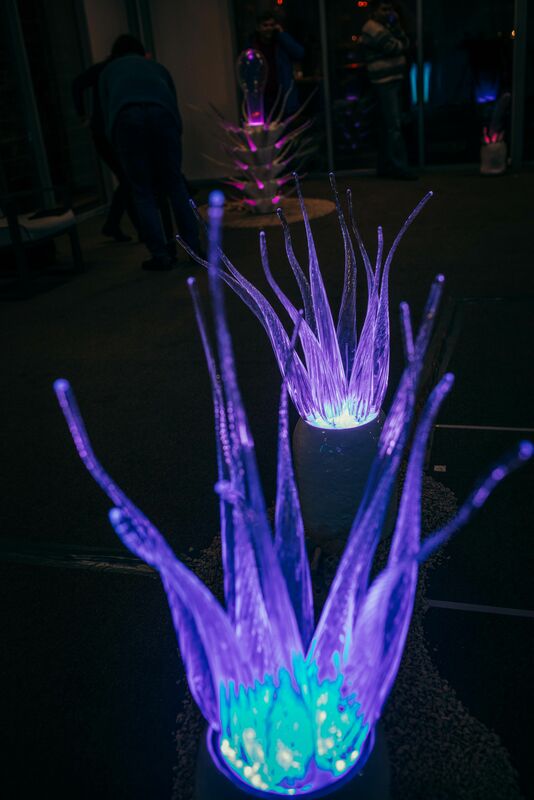 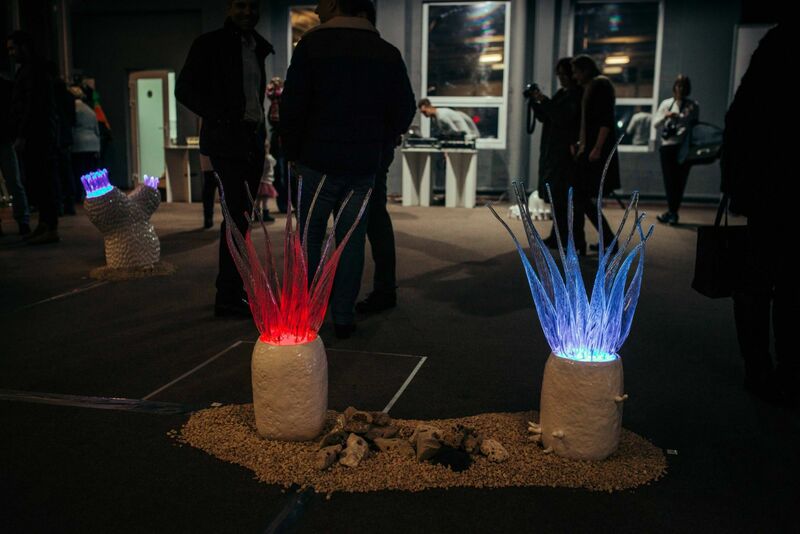 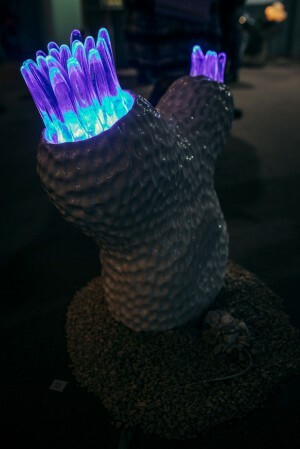 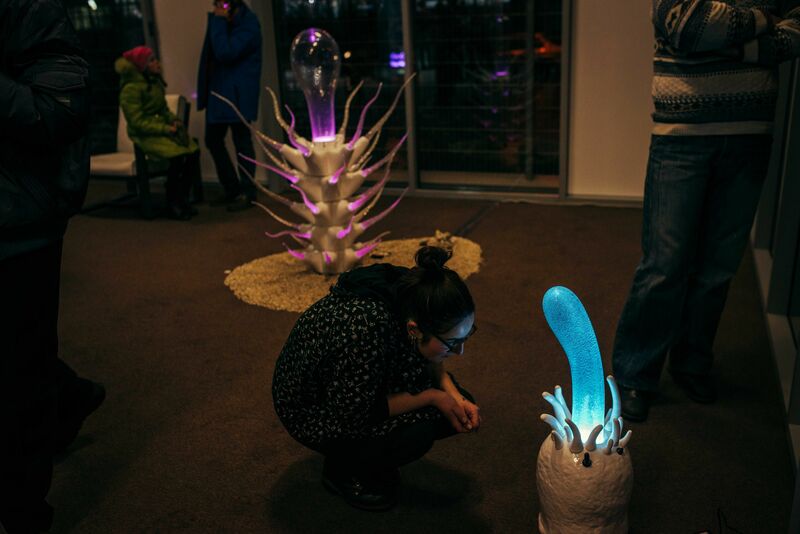 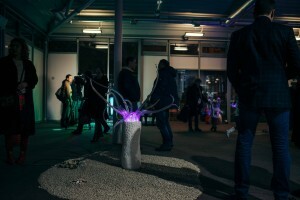 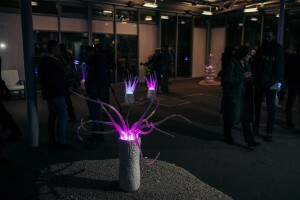 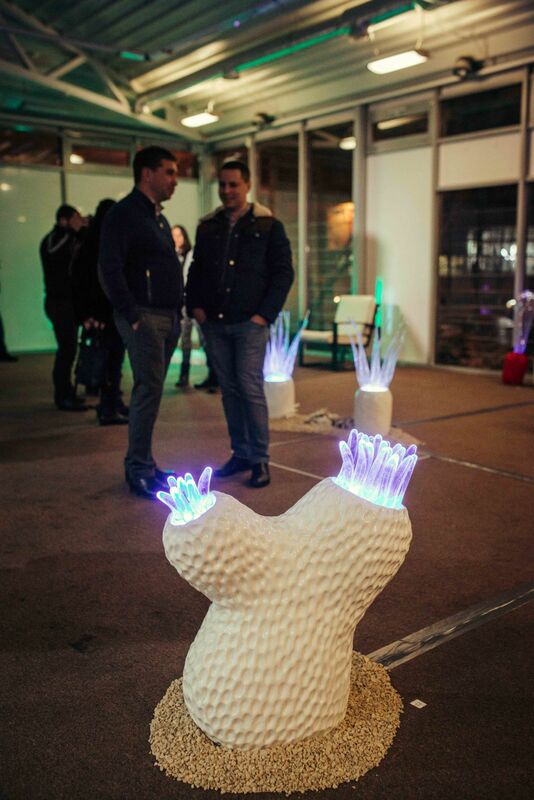 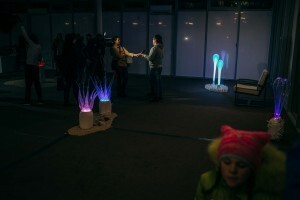 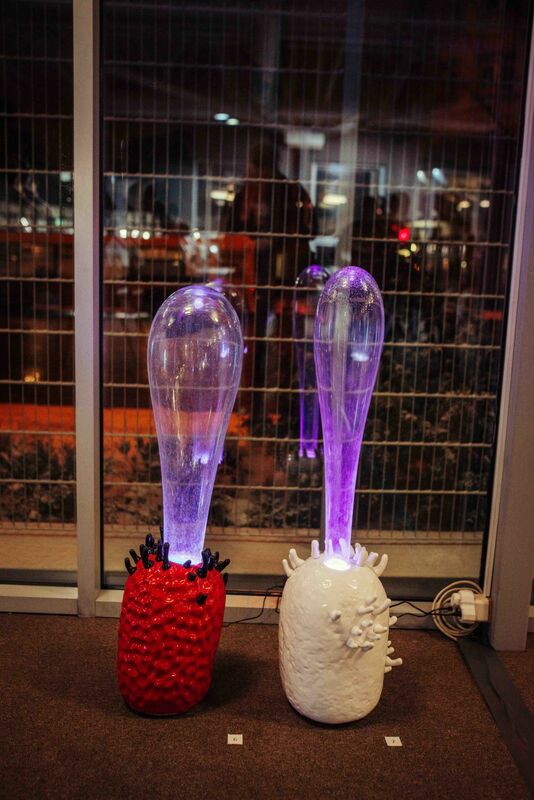 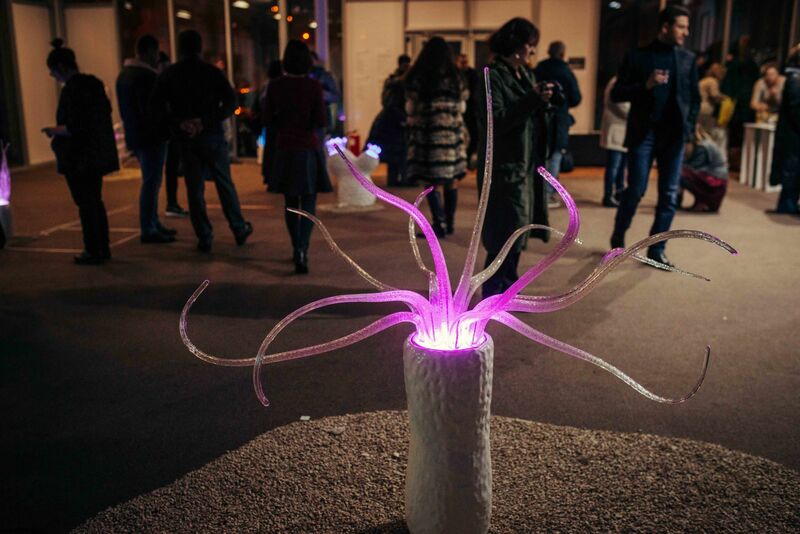 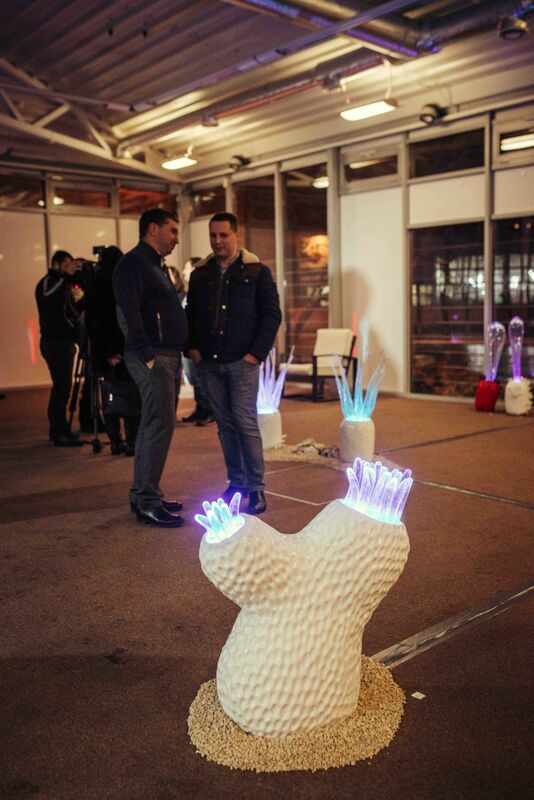 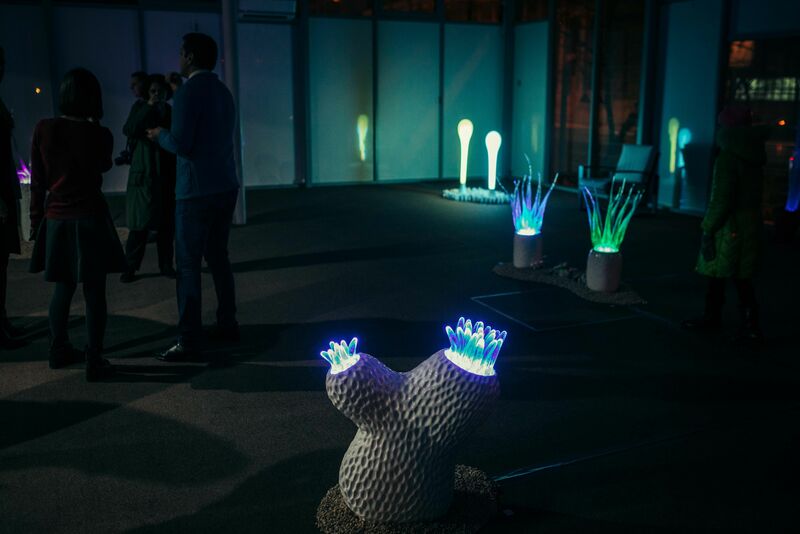 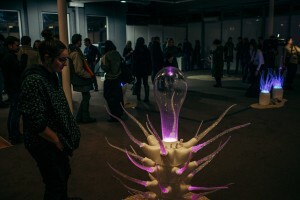 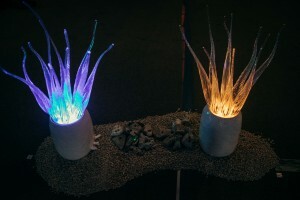 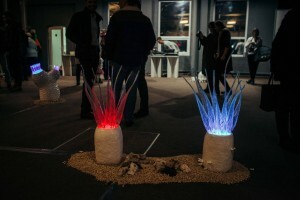 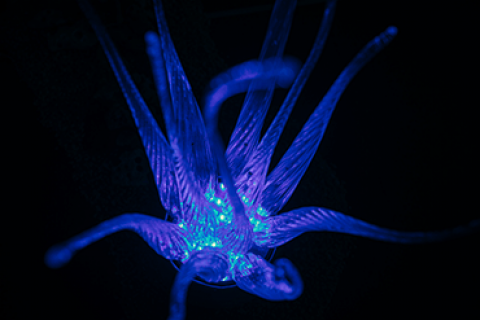 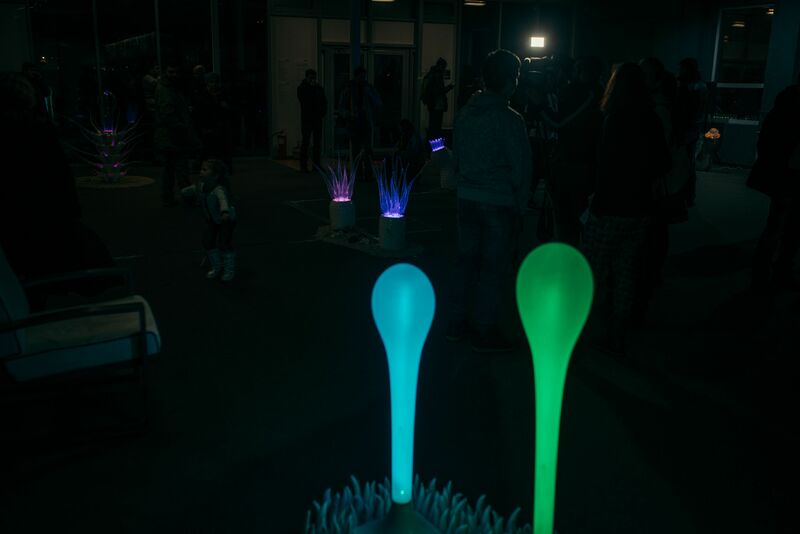 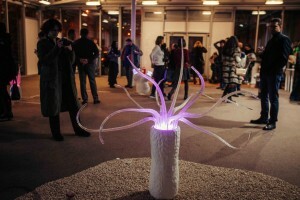 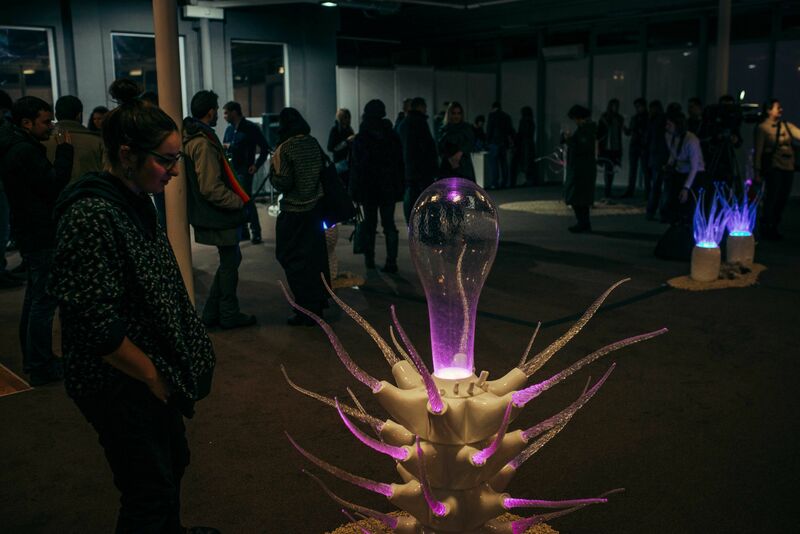 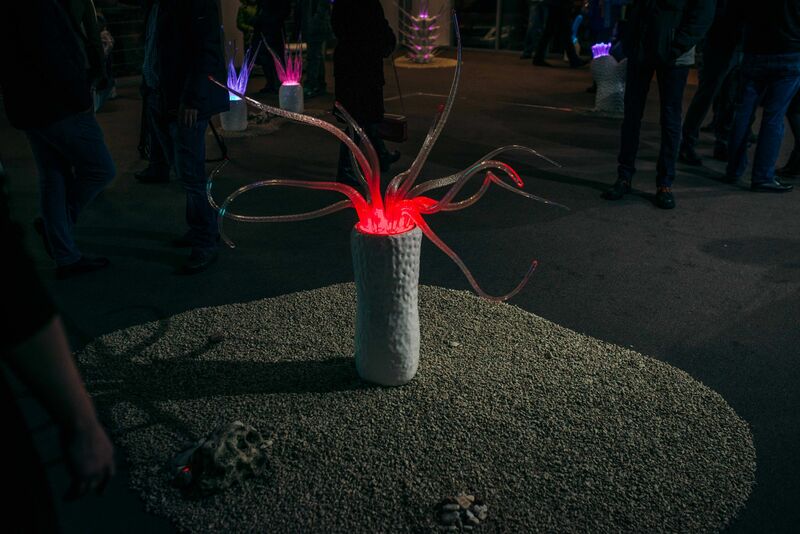 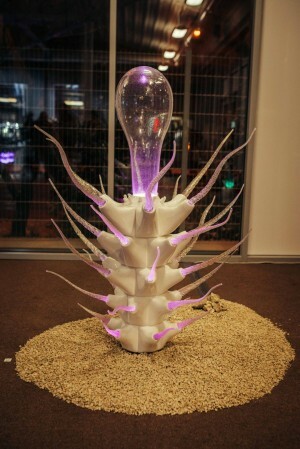 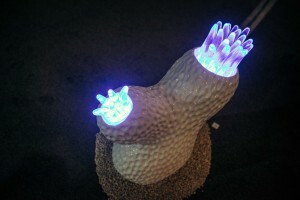 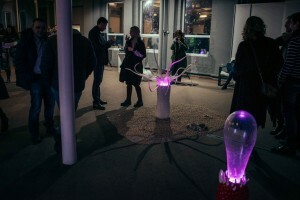 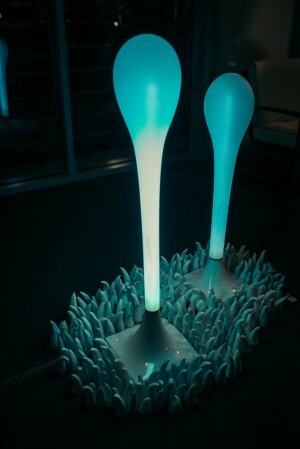 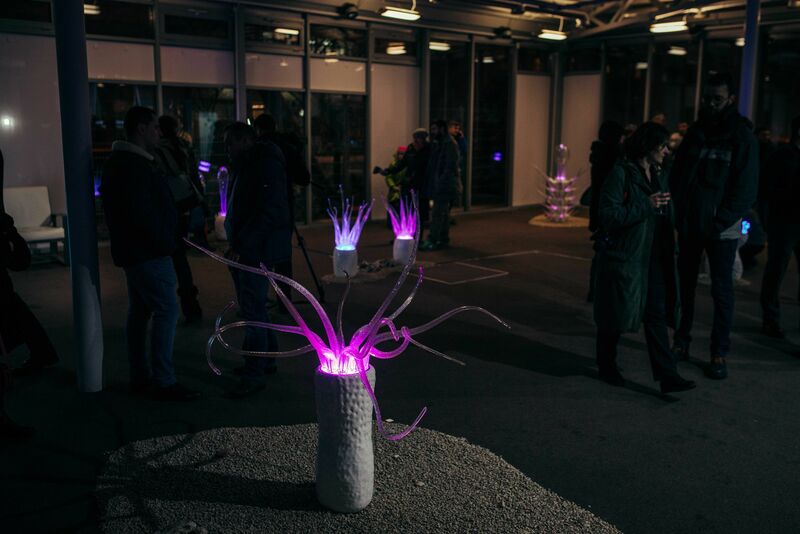 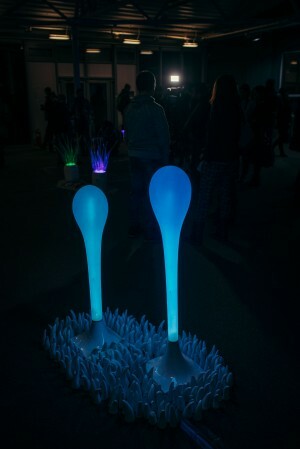 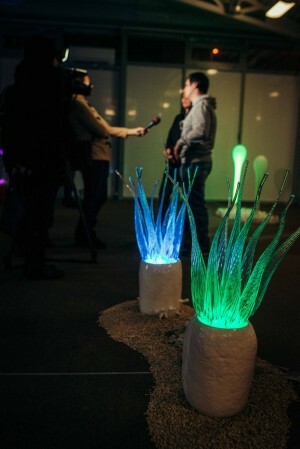 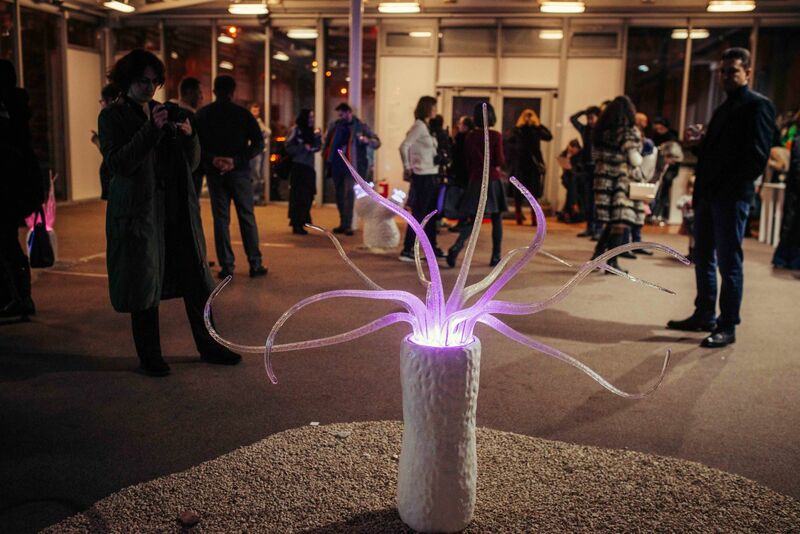 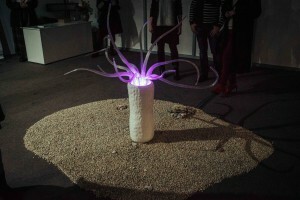 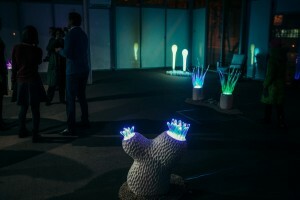 The works with the LED light have the bizarre shapes of the various creatures from the underwater kingdom. 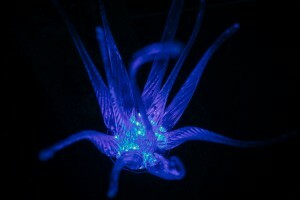 The immersion in the underwater world creates the sense of isolation and peace. 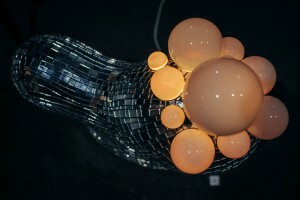 It reveals the new pulsing of forms and contents. 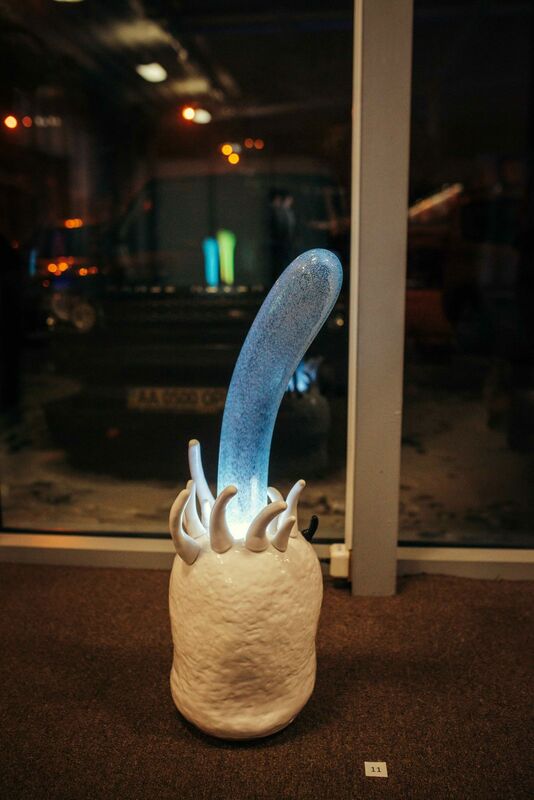 Being cute and simple at first glance, these objects combine a perfect image and deep meaning, giving the viewer the ambivalent impression and considerable interest. Beata Korn was born in Uzhhorod. 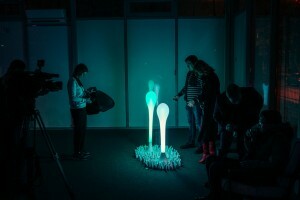 He graduated from Uzhhorod College of Arts and then Lviv National Academy of Arts. 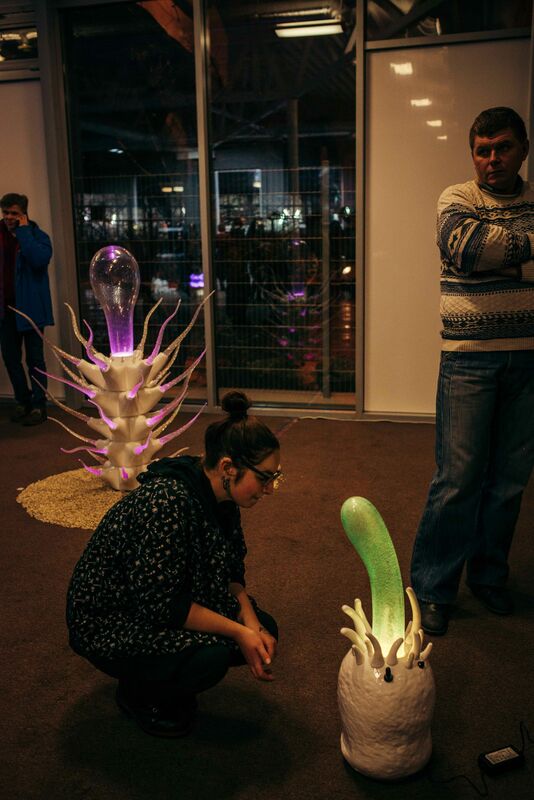 She held 8 personal exhibitions and participated in numerous collective exhibitions in Germany, Poland, Slovakia, Russia, Ukraine. The dimensional plasticity is the major tool in her creative system. Sometimes she deliberately emphasizes the juxtaposition of the contrasting artifacts of mass culture with the traditional painting techniques. 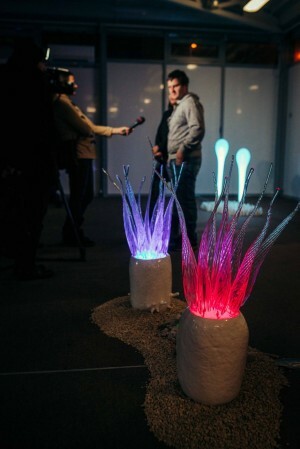 Victor Melnychuk graduated from Lutsk Higher Career College. 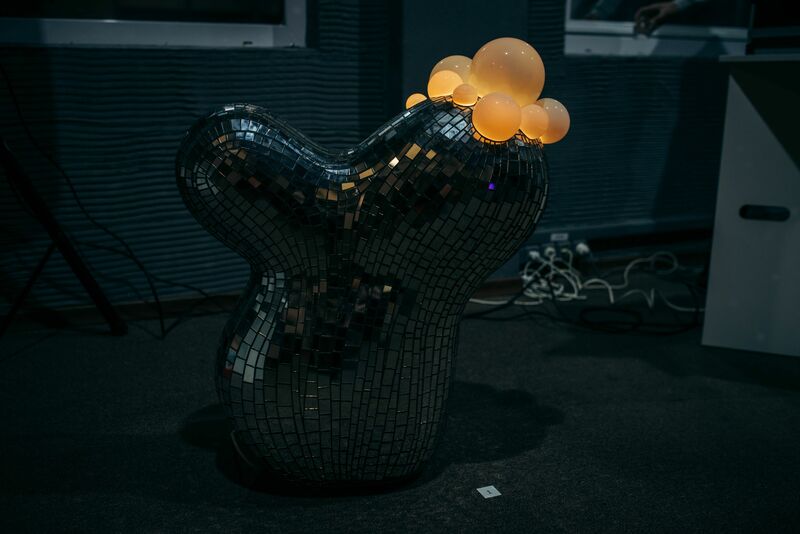 He studied at Lviv National Academy of Arts (mastering in art glass). 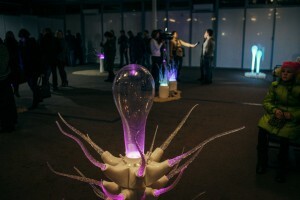 He held 8 individual exhibitions and participated in almost 20 collective ones in Poland, Lithuania and Italy. 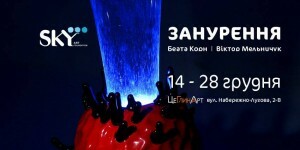 Laureate of the international contests, participant of many art symposiums in Ukraine and abroad.